"What if I don't want to fight?" FULL APPEARANCE: Kip is very, very pretty, in a soft sort of way. His blue eyes are clear and innocent. His bronze skin smooth and glowing. His smile ready, without any cynicism or cruelty in it. Even after turns of weyrling and candidate training, he still moves like a civilian, with no economy of motion and little awareness of surrounding threats. He dresses in an understated, casual style and rarely wears riding leathers outside of his official duties. He usually does not carry a knife or any other weapon. Many people have tried to remove the softness from Kip. Many have failed. He remains today, as he has always been, soft, gentle and trusting. He doesn't want to lead or fight or war. He just wants to sing pretty songs, write poems and make people happy. Simple enough goals for most people. He's an optimist, always looking for the bright side. He also tends to be a bit complacent, ignoring possible problems until it is far too late. The one person he's not always sure of is himself. He knows he was born to the wrong life and is ill-suited for the rigors of a rider's life. While he does try (with much prompting from Amizuth), he has many, many insecurities about being a rider and will try to avoid the more difficult duties as much as he can. He wishes he was a better fighter and rider. That he was braver, stronger, tougher. But he's not. He cries when he's hurt. He runs away from danger when he has the choice. And at the end of the day, he just wants to be left alone to sing, write and play his gitar. He's meant to be on the other side of the fence: the protected, not the protector. He adores his dragon more than the sun and believes there's nothing Amizuth can't do. He's loyal to her and will never regret being a rider when it means he gets to be her partner. She's his best friend, his family, the only one who will always love him no matter what. He still doesn't know what she sees in him, why she continues to believe he matters, but he's glad she does. HISTORY: Kip never wanted to be a dragonrider. But no one ever asked him. The son of a bronzerider and an unknown woman, he was groomed from the moment he could walk to follow in his father's footsteps. K'ron wanted to start a dynasty. And Kypheron was his chosen heir. But the boy was always sensitive and kind, with little interest or skill in fighting. And so eventually, K'ron gave up and went on to father other children, keeping just enough of an eye on Kip to keep him from being an embarrassment. Kip hated his father's visits. He much preferred his foster mother and foster siblings, who didn't want from him anything more than he was able to give. When Kip turned twelve, he wanted to apprentice as a harper. K'ron forbid it. The boy would train, as much as he could, and do chores, until he was old enough to be a candidate. His only job was to Impress. A bronze was probably too much to hope for but...surely he could manage a brown at least! Or Impress a blue and die honorably serving his betters. Kip hated candidacy at High Reaches. He was frequently the target of bullying and his teachers never intervened, thinking he needed to toughen up. Things got better for him when Golre fell and his instructors were replaced by new, kinder ones. Kip wanted to quit. But he was too much of a coward to confront his father. And finally, they were letting him start an apprenticeship as a Harper, since the new regime believed in candidates having alternate skills. Besides, he'd have to leave on his own eventually, when he aged out. Maybe by then he'd be a journeyman, able to leave the weyr and make his own way. But it was not to be. At the first garnet clutch, green Amizuth decided that Kip had what it took to be a rider after all. K'ron was displeased and began waiting for the two to die in Fall. It hasn't happened yet but when it does, Kip knows he will go unmourned, remembered only by his songs. So he'd better write some good ones, for as long as he can. Early Spring, 2767- Amizuth fails to control her flame when Suventh flies too close, accidentally burning her. Fall, 2767- Amizuth lays her first clutch, producing a total of three eggs with brown Jitteboth. Kip and Amizuth decide to move to Healer's Wing once the eggs hatch. HR needs to keep its clutching greens safe and they were never that much good as fighters. Oh, Kip, there you are. You are everything I was looking for this whole time! I'm so glad I found you. 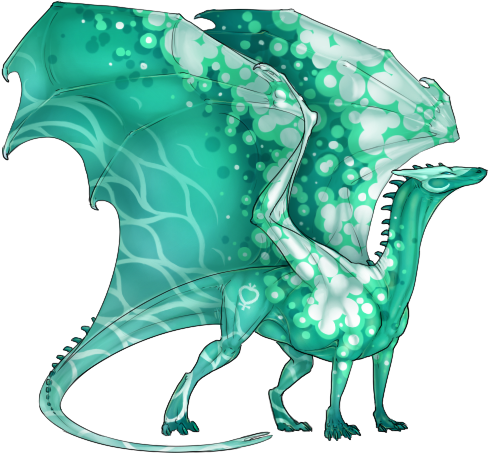 FULL APPEARANCE: Amizuth is a green just this side of a teal-blue color. Of mostly average build, she is long and lanky. Her hide is a dark teal color, with many variations across her hide. Long swirls of color arch over her wings and sides, giving her odd little marks. Large bubbly shapes also pop across her wing sails. A vaguely heart shaped marking covers her hind leg. Large stripes of color mark her legs as well. She shines softly, a beautiful seafoam in a sea of darker and more traditional greens. PERSONALITY: Amizuth is a shy dragon on the surface, seeming to be perfectly content to do the things she enjoys. 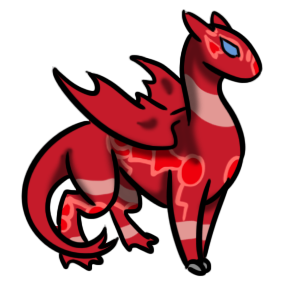 She is by far one of the smartest dragons to have hatched recently, and has an incredible knack for retaining information and figuring things out. She is a star pupil when it comes to learning new things. That said, she does not tend to focus on where she excels; rather, she has a gift for noticing the talents of others and encouraging them, helping to bring out what makes them shine as well. She is wonderful at reframing negatives into positives, and it is hard to wear down her optimism. She is a very patient dragon, and is good at helping others where they struggle with things. Above all else, she is loving and compassionate, refusing to to hear someone tear themselves down and always working to make them see what makes them shine. That said, she surprisingly lacks in confidence herself due to her shy nature; she doesn't see her own gifts, but is wonderful at encouraging others and gently nudging them. She especially goes out of her way to make her rider feel like they are special, because in her eyes, they are the most special person. Voice: Amizuth has a quiet, gentle voice that is slightly hard to hear to most. To her rider, her voice is soft but clear and holds a kind tone to it always.